I have been studying the new SFL-based MRU plist files found in OS X 10.11. They make analysis hard because they are binary plist files using the NSKeyedArchiver format – see here for my manual analysis of these files. I’ve also included the ‘older’ format plist files used in OS X 10.10 and older. In order to analyze them better (and student requests) I wrote a Python script to output the contents of these files in an easier to read format. Nothing fancy, just text printed to standard output. Get the script here from my Github page. I hope you find the script useful! The script is meant to be run on a directory; this can be a directory of extracted plist files from an image, a directory on your own system (ie: ~/Library), or from a mounted image (ie: /Volumes/mounted_image_file/Users/<username>/), you get the idea. The script usage is below. The only required argument is the directory, but the output can include binary BLOB hex dump of the Bookmark data (--blob). 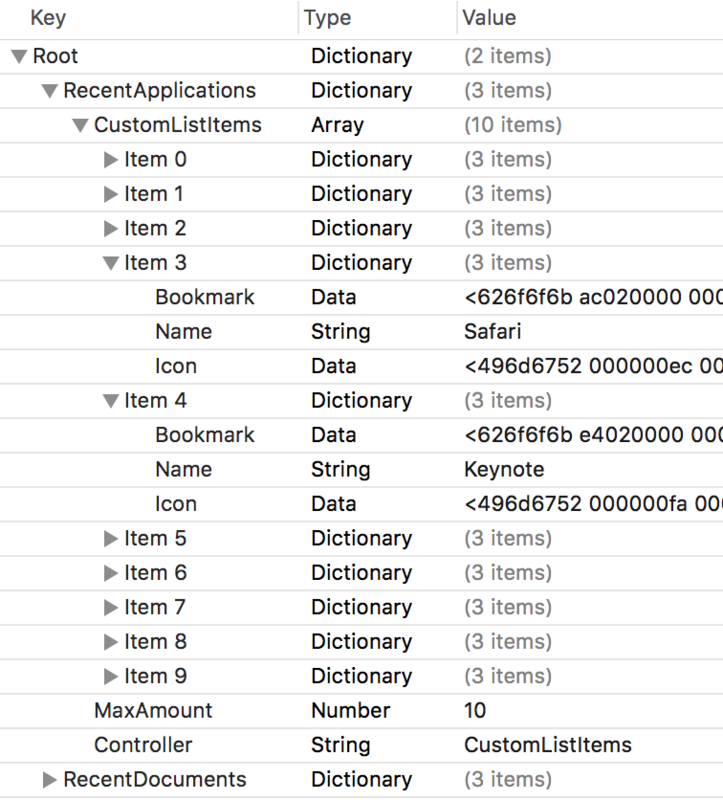 Most of the Mac MRUs contain a binary Bookmark BLOB of data that can be useful to determine where a certain file was located or where an application was run from. I’ve included it as an option as it can get very, very verbose. This example shows the same output with a sample of the hexdump BLOB data, you can see where this can get quite verbose.